Kicked off Ireland's police force for booze-related infractions, now working as a "finder" (private eye) in Galway, Jack Taylor takes on cases the cops won't touch. 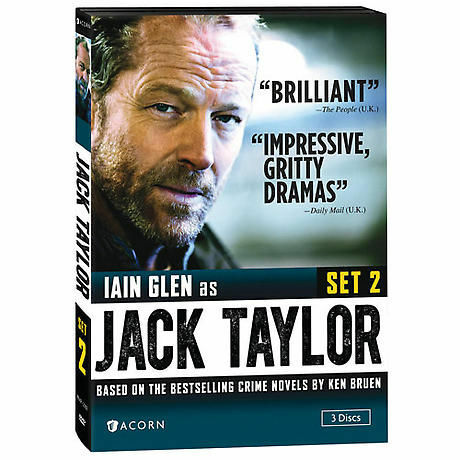 Based on the best-selling crime novels by Ken Bruen, this acclaimed Irish series stars Iain Glen (Game of Thrones, Downton Abbey) as Taylor: battered, disheveled, hard-boiled, and a softhearted defender of the lost and broken. Set includes three feature-length mysteries: The Dramatist, Priest, and Shot Down. 41/2 hours, 3 DVDs, SDH. Mature audiences.